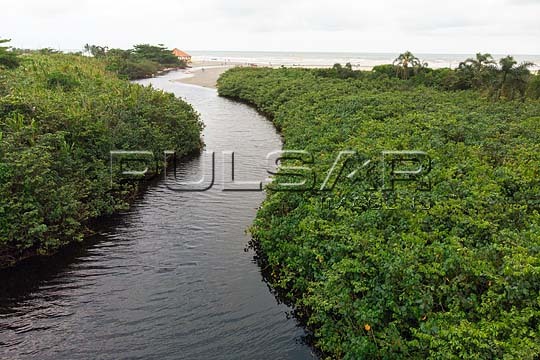 Drill view of the Piaçaguera creek in the middle of the mangrove vegetation by the sea. If you need this file in other dimensions, contact. ® Pulsar Images 2019 - All Rights Reserved.